Fitout – 900sqm fitout for Tekinsure – Project inclusions comprise of the provision of new building services, new boardroom and open plan office layout complete with workstations, reception area and free standing offices. 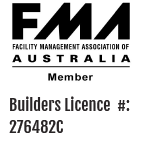 Fitout – 800sqm office fitout for MDC at 4 Martin Place Sydney .Buildcomm delivered construction management services for the 800m2 office fit out of areas including reception, workstations and offices. 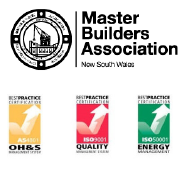 Buildcomm were involved in this project in the early stages of the design briefing, providing consultation services to the client on building services and cost effective construction solutions. 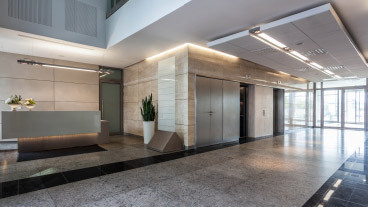 Building Refurbishments – Buildcomm completed this base building lobby refurbishment for JDS property group .The project was completed over a 20 week program and included a refurbishment of all base building amenities and main lobbies of the building . 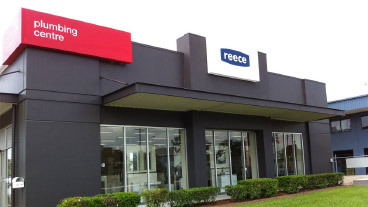 Construction & Fitout – Buildcomm has completed a number of Reece plumbing showrooms and offices around NSW . The projects have been from full construction to detailed showroom fitouts .